When a person is arrested for a crime, the jail or Magistrate may impose a bail amount that must be paid before the person will be released from jail. The accused can pay the full amount themselves or they can pay a Bail Bond Agent. The fee paid to the Bail Bond Agent is also known as a premium. In the State of Florida the premium charge is 10% of the Bail bond or $100 minimum per charge. A premium is a non-refundable fee for the service of paying the bail amount on behalf of the accused. After the Bail Bond Agent has been paid the premium, they will then pay the jail the full bail amount in the form of a Bail Bond. 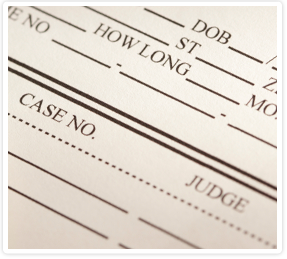 When the Bail Bond has been posted, the court holds the bail amount in either cash or bond form, without interest, until the court case is complete. Then it will be returned to the depositor, which can sometimes take months or even years. However, if the accused misses a required court date, the bail is forfeited and the court keeps it. Big Johnson Bail Bonds offers many payment arrangements and financial options to our clients. We take Cash, Checks, All Major Credit Cards, Money Orders, Western Union Collect and American Express Travelers Cheques. We are flexible and accommodating to your specific bail needs. If you don’t have the full bail amount or don’t want your money used for court costs and fines, and wish not to be on public record, we can post the bond for you. Please call us today and see how we can help you!